This Playmobil playset is sized and shaped just right for toddlers. Help the animals board Noah's Ark. 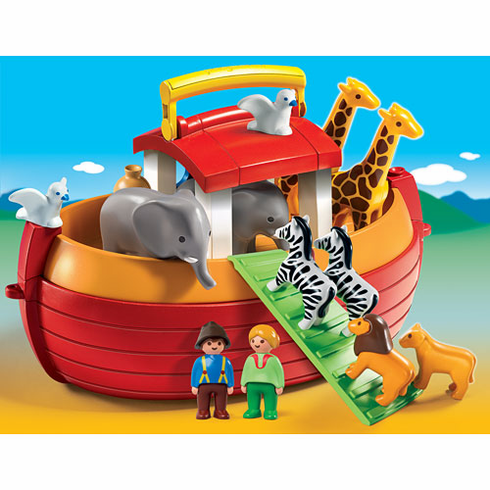 Set includes 2 figures, lion and lioness, and pairs of giraffes, zebras, elephants, and birds.